This is what you probably came here for. 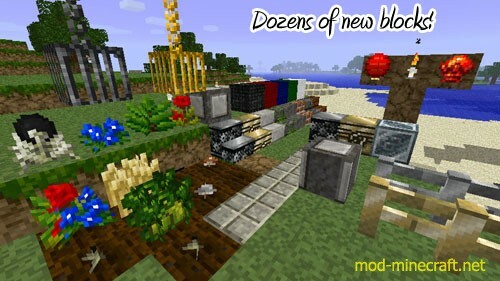 FancyPack Mod is a singleplayer mod that offers dozens of new blocks and recipes for decoration and interior design. 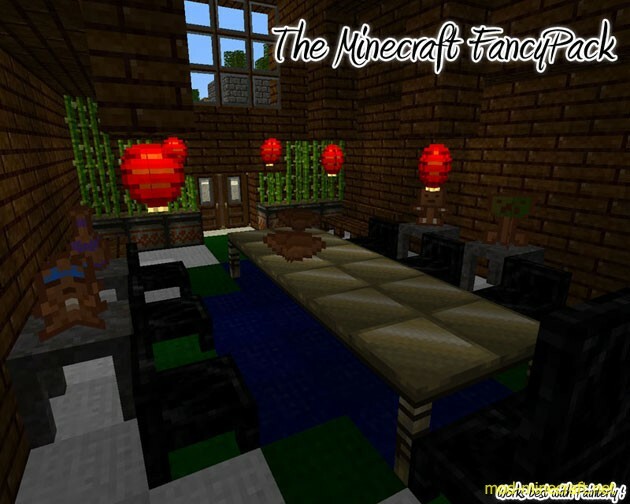 From furniture and decorations to chains and cages, all the way to roads that actually let you walk faster while traveling on them, FancyPack Mod is designed to offer a more creative, decorative, and artistic approach to creating a home in Minecraft. You never suffer from a desolate, empty base again. 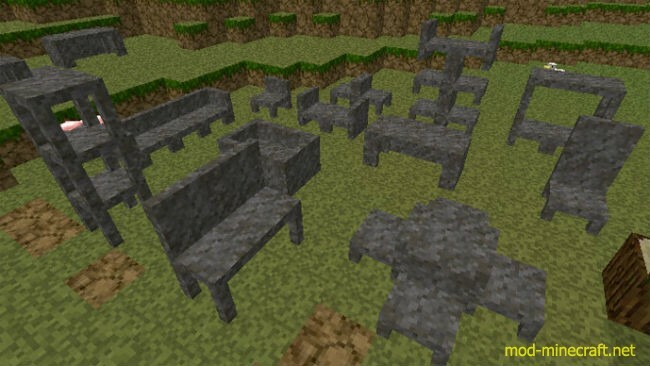 This mod adds chairs, tables, chimneys, wall slabs, and counter-tops in 16 amazing materials and fences in astounding 32 materials. 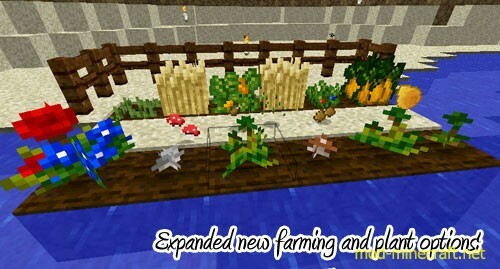 It also added are chains, cages, lanterns, crafts and potted plants. 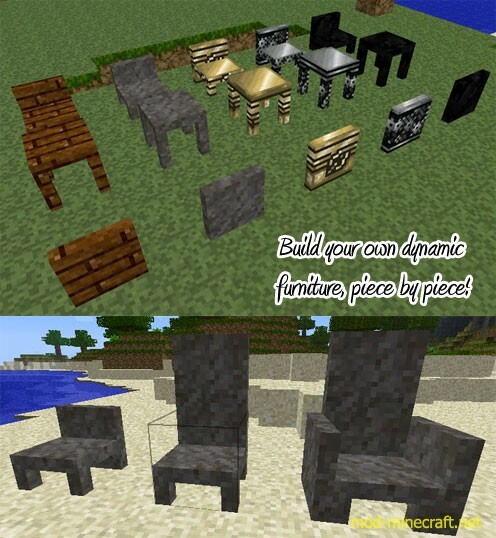 All furniture use the same recipe but you just need to change the material type. 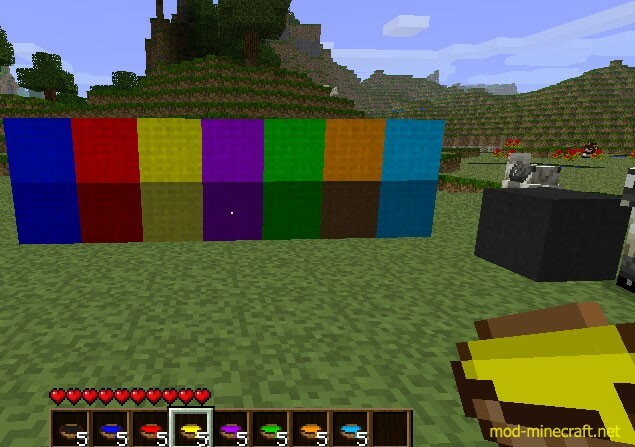 The rest of the recipes require the exact materials shown. 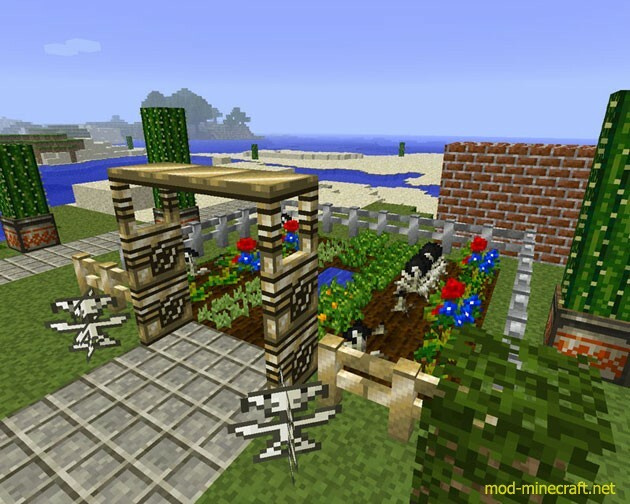 Download and install Grim3212 Core.